The Easter break isn’t just about eating as many chocolate eggs you can in the shortest amount of time possible - it’s the perfect time to get your children out and active whilst they’ve got some time off school. And as we move away from the cold, bleak months of winter into the spring sunshine, why not really push the boat out and treat them to an all-action packed activity adventure? Zorbing is little bit different to any other athletic activity your children might get up to this Easter. 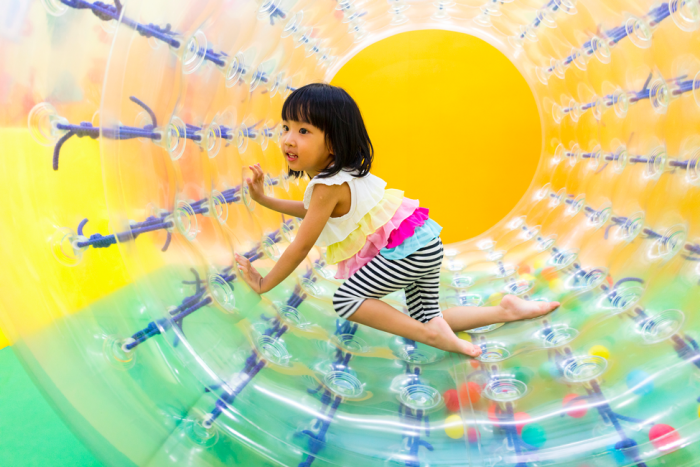 Ridiculous, exhilarating and completely wild, zorbing will see your young ones taking on a range of different courses and obstacles, whilst inside a giant inflatable ball. Watch them roll against one another to see which sibling comes out on top, or see them partner up and tackle the zorbs as a team. They might be a little dizzy by the end of it, but they sure will have had a great time. You can even take zorbing out onto the water, if you live near to a lake, just to add to the activities uniqueness. Does your child want to be the next big tennis star? All they will need is a racket and a few tennis balls. With the weather getting better in the spring months too, tennis is the perfect game to get your children back doing some outdoor athletics. Throughout the Easter break, you should be able to find a club running special classes and schemes for children of all ages. But if you’ve got time off, why not head down to the court yourself and play a few rallies or training games to keep the kids active. Fun for the whole family, rock climbing uses all the major muscles in the body and is a great fun way to keep the kids active. You don’t have to set your heights too high either - you’ll find indoor climbing walls the best place to ease your children into getting the right technique and learning the basics. Then once you’re children have got to grasps with climbing indoors, head out into the great outdoors and tackle a real-life cliff face under the supervision of a professional. From tackling the ascent up to abseiling down to the bottom, rock climbing is a must for any active kids. Experience isn’t necessary, just a willingness to try something new. If your children love adventure, kayaking is a must for the Easter break. Whether it’s the local lake, or a controlled section of river, let them explore the great outdoors in a kayak. You can share a kayak with them if your kids are still quite young, or let them go off in their own if they are able to swim unassisted. Not only will they be able to learn how to paddle and turn a kayak, they’ll also be keeping active the entire time they’re out on the water. Make this Easter an active one for your children by getting them involved in a whole host of sports and events to keep them on their toes.